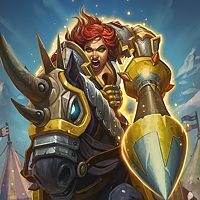 Forums Play Mode Discussion Why are people so against OTK in this meta? It’s not fun to play against someone who stalls, stalls, stalls, draw cards stalls more then boom your dead. OP, you answered your own question. People complain for no good reason. They complain about OTK because it’s flashy. I even see people complaining about Antonidas and that’s a garbage deck. While there’s not many complaints about Paladin directly, there’s a lot of hell of a lot of Baku/Genn complaining which is 2/3 of top tier Paladin. Players rightfully complain about polarizing decks. I don't know who enjoys playing out an 80/20 match up. In HS aggro, combo, control, and OTK are all equal opportunity for polarized matchups. OTK is yesterday’s newspaper. It’s washed up and done. Clone Priest play rate has dropped to half from last month, Paladin and Warlock have almost disappeared, and Druid remains a tiny blip on the radar. BTW, I play aggro, control, combo, and OTK. So top 10 is 4 Aggro, 2 mid range, 3 control, 1 combo and 0 OTK. 7 different classes quite diverse except Paly can be too OP to have top 3 decks in the game. 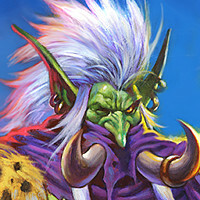 The best OTK deck is Maly druid at tier 2 and the Mecha thun druid / lock and tiger paly are all tier 4. With the above statistic, why are people still complaining about OTK. Am I missing something? Note: Didnt meet a single OTK deck in the last week at rank 4 for myself. I disagree that these are the best decks. I'm rank 300 Legend and I can tell you straight up that Secret Paly is not the best deck, Wall Priest is not even the best Priest deck and Deathrattle Hunter is not even the best Hunter deck. Also out of all of these decks Even Warlock should be number 1. In high legend play Midrange Hunter is clearly the best deck in the game followed by Even Warlock and Cloning Gallery Priest. Gallery priest basically makes the meta switch between aggro and control, when Gallery priest is popular everyone switches to aggro, when aggro is popular everyone switches to control and when control is popular everyone switches back to the OTK's. I am just quoting statistic from HSReply. At every rank, the meta is different and we have to adapt to it. But the point is, statistically speaking, OTK decks are neither prevalent nor pervasive in this meta when we account from rank 20 - legend. To be honest, my view is that the issue isnt OTK or anything, its polarisation. Why is it polarised? Because manmoth year create cards with infinite value and insane cheating value with recruit keyword. Oakheart is crazy to play against, Hadronox is bullcrap, Guldan heropower is just insane with an army of voidlock and doomguard. Cube is singlehandly the worst card ever created with threatening stats and even more devastating effects. Most DK are broken. I am honestly hopeful after the rotation, nothing in Raven make me feel that things go infinite easily, honest trading will return. Timing of the limited removal is crucial. Good ol hearthstone. Yeah but hasn't it always kind of been this way? The only difference is there really isn't 1 deck that beats everything, like Raza Priest or Cubelock after Raza nerf. Control beats Aggro, Aggro beats OTK/Combo and OTK/Combo beats Control. I see that as a good thing? Cubelock meta is soooo boring. So is machine gun priest. Now classes are quite diverse and there are multiple tier 2 deck. OH a priest is tt wall? Clone? Paly? Is tt odd, even or secret? Hunter, master call? Deathrattle? Warlock, cube? Even? Zoo? Isn't tt actually more fun? My theory is that people who whine the loudest on the forums are the people who feel the most entitled and believe themselves to be super smart. Those sorts of people gravitate towards control decks because it's the playstyle that makes you feel clever when you control the game and you love long games and such. And OTK beats control and feels extra unfair when doing so. "I controlled the game the whole time and then I lost - so unfair!" Now, that's not to say that every control player is like that. Far from it! But I think that many of the loudest voices on here fit that pattern and that causes an unlikely amount of noise towards OTK. Honestly, I had the most fun in the Cubelock meta. In Cubelock mirrors, making 1 mistake could cost you the game very easily. Drawing a card with hero power on turn 5 could literally lose you the game on turn 24. The meta is ok right now, it is very diverse. Although it doesn't have the same feel as the Cubelock meta did, which had less diversity but choices seemed to matter more. If they can somehow get deck diversity while making every choice impactful, that would be the perfect meta. The irony is the cubelock meta isnt polarising because cubelock beat everyone. No weakness, much heal. So there is so much cubelock around the meta dont polarised. Yet Cubelock i agree is a very skillful deck. (As you have agreed in my reply to help: cubelock) which actually have many crucial decision making point. Draw too fast you die from fatigue first. Draw too slow you don't get the right answer. Current deck lack skills. In rank 4 the other day, i was in Garrosh state with 1 charge left in my weapon, The opponent have a 4/8 ragnaros on board, played a clockwood automation on the right of ragnaros, heropower one of my 2/4 taunt, leaving 1 more 2/4 taunt on board. Then he end his turn by playing a dire mole in btw clockwood automation and Rag... Imagine the level of skills now lol. The problem is this, when you add more diversity of viable decks, the actual match ups have to be more polarized to keep single decks from rising to the Tier S level. Which in turn lowers the skill level of the average individual match up that you are likely to queue into. They don't like to lose, after putting their effort on "winning"
ive been running evenlock with a lot of success, but having to tech in certain cards at times to deal with changes. I really think there is a psychological phenomenon at the heart of the dislike for OTKs. 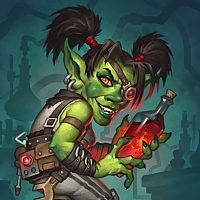 People are more OK to losing to aggro or control than losing to OTK and the reasons they give is mostly lack of interactivity and that they cannot really disrupt it and do anything about it. Aggro: Your winning condition is board pressure through efficient cheap minions and minimal trading when it benefits retaining the board presence. If you come across a duskbreaker into mass hysteria into psychic scream when all the removal of your opponent aligns , it might feel like there was nothing you could do to win that game. There are instances where you accept this and move on. Control:Winning condition is weathering the storm of early game of aggro and midrange with control and stall tools and taking control of the board in the endgame through value minions. Sometimes your control tools don't show up, the pressure is immense and it might feel like there is nothing you can do in this game. You accept that and move on. The deck that suffers from OTK decks is the control archetype. All those tools of stall and board clears become useless and it makes it so that you do not have enough pressure to kill them because your deck isn't build to aggro. 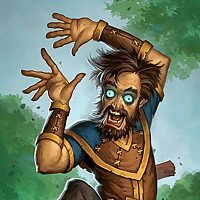 Aggro decks have no problem dealing with OTK decks because an OTK deck is like a control deck that cut some stall mechanics to include draw and and combo pieces, so it already has an easier job to do. 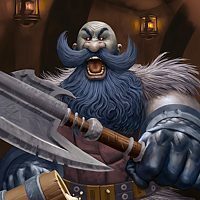 Aggro players face the same control tools whether it's an OTK or a control dek with the exception that control decks usually use more minions too in form of taunts etc which make it harder. So having all of the above in mind, i believe that people view the OTK win condition as violating the traditional control/aggro relationship which is considered "fair game" because their win condition has nothing to do with what's happening on the board while on the control/aggro relationship it exclusively has to do with what's happening on the board. When a control deck wipes out an aggro board you have a fair "counter". Your deck was build to deal with this. Now you might say that's interacting with the board but that's semantics. I think that people don't like OTK because they don't like knowing that there's nothing in their deck that helps them deal with the problem.Control can deal with aggro by lowering their curve or including more stall mechanics or it can deal with control by including smart "greed" cards to give them an edge but against OTK there's not much they can do apart from playing the role of aggro and using what minions they have to pressure. So it's like the effect you used to get when you were playing freeze mage against control warrior. You knew you had little chance to win the game to begin with and nothing in your deck could do the trick if opponent played the matchup well and it's that feeling that people often express when discussing OTKs rather that how powerful they are.They often try to rationalize that feeling that suggesting that OTKs are busted but stats often don't support that. Furthermore there is a weird dynamic that keeps control in check. If OTK can have the stall and board clear mechanics to be considered busted that means that control would be even harder to deal with if OTK was out of the way because if OTK has found a way to weather the storm vs aggro, then control could do it even easier. So whenever control get's strong there's always the shadow of OTK that borrows those strong control tools to keep the greed in check. I think that is actually a healthy dynamic. It's no coincidence that the best arguments vs OTK are not balance arguments but appeal to emotion. "It doesn't feel good to lose vs an OTK" How many times have you seen this? Make note that people also ask for disrupt tech tools against combo decks. 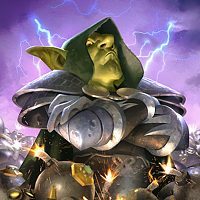 Are there disrupt tools against control decks? Can you disrupt their endgame value? If they get to the endgame safely they take over. 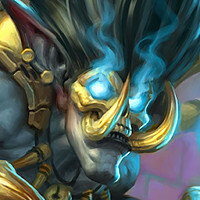 Would you suggest an aggro deck runs zihi so that they don't psychic sceam your board or play a voidlord or would you laugh at the idea and just suggest all they need is pressure? 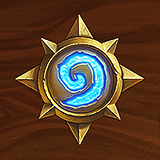 Ask yourself this: Why are people ok with pressure being the counter to control decks but when the same is the counter to OTK decks this is not enough? The answer is because control is build to deal with pressure but not built to deal with that other pesky win condition called OTK and that violated the "traditional relationship" of control/aggro . Is that so bad?